I first met Elizabeth Nunez because she was the eloquent host of a Women's National Book Association Great Group Reads event where I was one of the authors featured. We got to talking and I became instantly fascinated by her upcoming memoir and asked her if shed agree to be on my blog! Elizabeth's the award-winning author of eight novels, four of them New York Times Editors’ Choice, including Boundaries (PEN Oakland Josephine Miles Award); Anna In-Between (long-listed for an IMPAC Dublin International Award); Bruised Hibiscus (American Book Award) and Prospero's Daughter (NY Times Editors’ Choice and Novel of the Year for Black Issues Book Review). Her awards include 2013 National Council for Research on Women Outstanding Trailblazer Award; 2012 Trinidad and Tobago Lifetime Literary Award; 2011 Barnes and Noble Poets and Writers, Writers for Writers Award. She is a Distinguished Professor at Hunter College, the City University of New York, where she teaches creative writing, fiction. 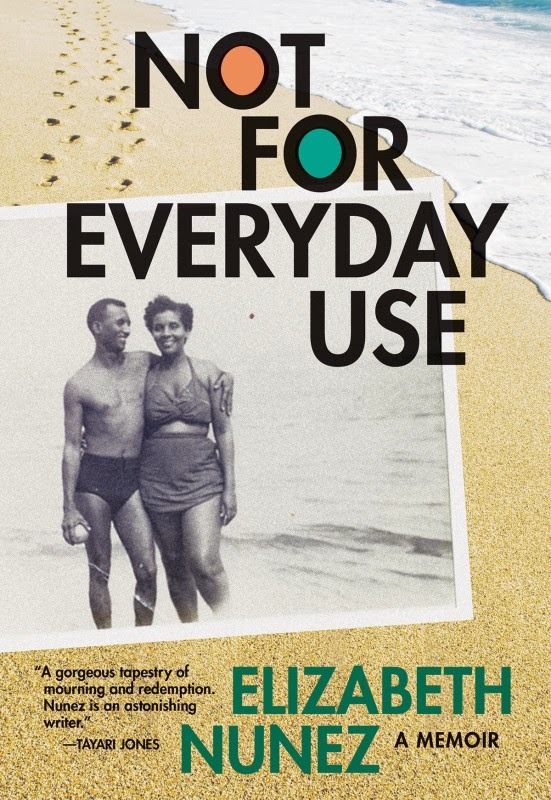 Not for Everyday Use is her first memoir; it has received an advance starred review from Booklist. Thank you so much, Elizabeth for being here. I always ask, what sparked this particular book? Why did you choose to focus on emigration and your parents? Did anything surprise you in writing it? You're the acclaimed author of 8 novels, but this is your first memoir. Was this a scary thing to tackle? How different was it than writing a novel and why? It’s always about some catastrophic event that gives a sense of urgency to your life, isn’t it? For me, it was the death of my mother. She was ninety, and while I grieved for her passing, I discovered that I was angry too. So this memoir became a way for me to confront that anger. Luckily, I managed to arrive at a place of understanding and compassion. Yes, I had written eight novels, but I did so under the illusionary veil of fiction that allowed me the pretense that my stories were not about me, about my life, my experiences. By the time I discovered the truths that my fiction revealed, I was safe. No one, I thought, would find me in my stories. My life would remain a secret from the world. So why did I decide to write memoir rather than fiction? Was it age? Was it time to face the truths of my life head-on? I was scared, of course, but I thought that by writing memoir, I could still control what I revealed. But memoir, I was to find out, just like fiction, leads the writer to discovery, to places the writer had never suspected. What did I discover? I had always harbored the belief that I could go back home, home being Trinidad, and that when I returned I would feel a sense of belonging to the people and places I knew in the country that had shaped my identity and my values. I discovered that was a fantasy, that I was now an outsider in my homeland, and that the people and places I knew had changed and were in many ways unrecognizable to me. I discovered, too, that subconsciously I had blamed my mother for making me feel like an outsider in my homeland. She had abandoned me. When I was sixteen I was sent to live with my grandparents, and when I was nineteen I was sent to college in America. I returned home after I graduated, but a year later I went back to the US and have lived in New York ever since. Somehow, without admitting it verbally, I was hurt that my mother had never asked me to return home. Much of the tension between us was a result of resentment on my part, though I was not conscious of its source. I stumbled on the title of this memoir when I was preparing the eulogy for my mother. I suddenly realized that just like the treasures in my mother’s cabinet which she saved for important days, my mother felt that demonstrations of her love for me and her children were not for everyday use, but we could count on her if we ever needed her. Tracing back events in my life, I saw that that was always true. My memoir also focuses on my parents’ marriage, the love they had for each other that endured in spite of my father’s infidelity. I am also critical of the Catholic Church that prohibited birth control and so forced my mother to have more children than she wanted. She had fourteen pregnancies, nine live births, and three of her five miscarriages almost killed her. I made happy discoveries too when I was writing this memoir. I realized more fully than I had ever done before that I did belong to a country, that America is my home, and that in the more than four decades since I have lived here, I have made a new family—my son, my daughter-in-law, their two daughters—and that I have wonderful friends in America who share my values and are a great comfort to me. 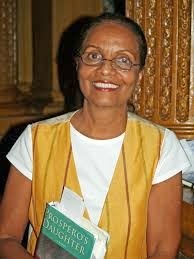 I have also had great satisfaction and pleasure from my professions as a university professor and a novelist, careers that would have been unlikely for me had I remained in Trinidad. Writing this memoir also gave me a better understanding of how race and skin color discrimination in America, as well as the enduring legacy of colonialism and my orthodox Catholic upbringing, affected decisions I made, both in my personal relationships and in my professional life. But my most important discovery was finding about my mother’s side of her story. Writing this memoir allowed me to hear my mother’s voice, to listen to her tell of her struggles and the obstacles she had to overcome, and I began to empathize with her and to understand her better and to know that she that she loved me, and indeed all her children, as best as she could. Let's talk about craft. What kind of writer are you? Do you outline things or just follow your pen? Do you have rituals at all? I wrote my first four novels in pencil, on long sheets of yellow legal paper. Friends tried to persuade me to go to the computer, but I was convinced there was some magical connection between my pencil and my brain. One day, however, my typist, frustrated by having to transcribe my patched up scribbles, demanded that I learn the keyboard. I took classes and discovered new magic between the tips of my fingers and the keyboard. I find myself always racing against the clock, that is, my mortality. When I was writing my dissertation for my PhD, I kept fearing I could die before I was finished, and I was just 28 years old. This feeling of urgency had two effects: it pushed me to complete my work, but, on the other hand, it did not allow me the comfort of knowing I had time to revise. Now, when I am much, much older, and issues of my mortality should be much more immediate, I find myself having the opposite feeling. I am not so scared that I would leave unfinished work as I am scared that I will leave work that is not well written. So I write more slowly; I have more patience to revise, revise, until I have written what I have seen in my imagination and used words that are music to my ears. I am working now on a novel inspired by Shakespeare’s King Lear. This would be my second novel based on a play by Shakespeare. I had written Prospero’s Daughter which is a contemporary telling of The Tempest. In my novel-in-progress my focus is on Lear’s daughters rather than on Lear. There’s not much more I want to say about it, mainly because I’m not certain how the story is going to play out. By chance, 2016 happens to be 500 years since the birth of Shakespeare, so, perhaps, it will be a perfect time for the publication of the novel. No settled title as yet.